Durham is a historic university with its heart in a small and beautiful city. It is also a modern, culturally vibrant university with links across the globe. The sense of community and place, engendered by the people, buildings and environment, makes for an intimate relationship between staff and students, and between disciplines, which is hard to match elsewhere. Starting a new job can be a daunting experience, especially if this entails relocating from another region or country. At Durham University we have a number of initiatives in place to help make your transition as seamless as possible. The University has a dedicated Relocation Manager who is available to offer guidance on your move to Durham. Our Relocation Manager can work alongside you to provide support with your domestic arrangements, accommodation search, area information and useful tips for living in the UK. You will be able to attend a staff information and well-being fair at the start of your time at the University, as well as join a number of our internal networks, take up membership of one of our college communities, engage in our staff volunteering programme within the local community, and enjoy our extensive staff rewards and benefits offer. 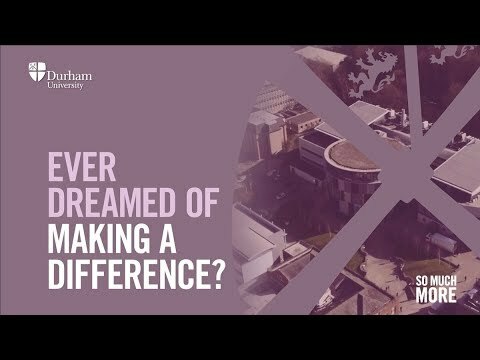 Read on to find out more about what it's like to work at Durham University.